WASHINGTON — U.S. President Barack Obama’s declaration last year that the international terrorist organization al-Qaeda is “on its heels” now seems moot. 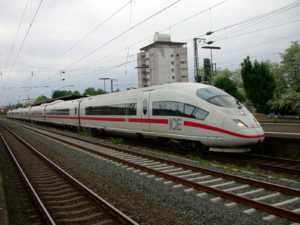 Reuters reports that al-Qaeda is planning widespread attacks on Europe’s high-speed train system. It has led to an increase in security presence at least in Germany. The U.S. scapegoat, the National Security Agency (NSA), alerted U.S. allies of the plot after obtaining such sensitive information by spying on a high-level al-Qaeda phone call. German officials tried to downplay the threat and said that they have more than adequate security measures in place. However, the Interior Minister said that they have increased “invisible measures” such as plainclothes police officers. The U.S. closed its embassies worldwide after receiving threats from al-Qaeda and some said it was a direct result of the non-response to al-Qaeda’s successful attack on the U.S. consulate in Benghazi, Libya last year, on the anniversary of September 11th, 200 terrorist attacks. The U.S. ambassador was killed along with 3 others and has led to a massive call for investigation.